Productivity Commission questions Telstra's use of public funds under Universal Service Obligation arrangement. Australia’s largest telco, Telstra, could see billions of dollars in federal funding dry up after the Productivity Commission recommended scrapping the company’s Universal Service Obligation (USO) arrangement with the Federal Government. The Telecommunications Universal Service Obligation (TUSO) is one of several government policies used to meet universal service objectives nationally. Under the arrangement, which was introduced in the 1990s, Telstra receives a combined total of around $297 million worth of subsidies per year, from both public and private funding, to maintain fixed line voice services and public payphones under the USO. The government provides about $100 million of the Telstra’s subsidy annually, and the rest comes from an industry levy. 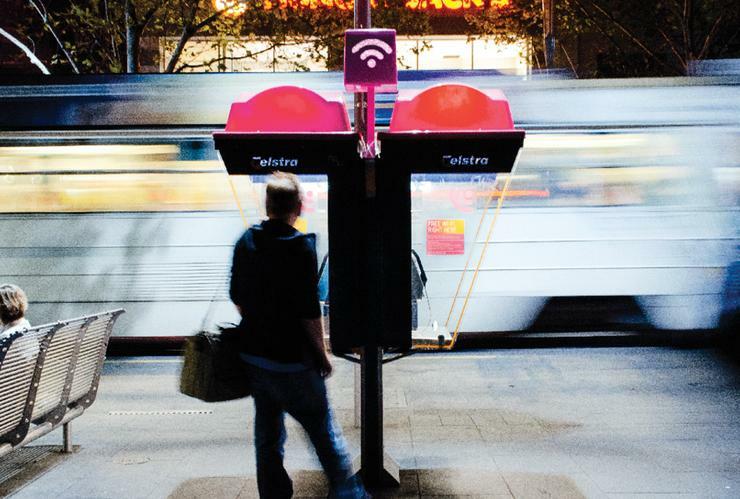 Telstra receives $44 million from the government annually to maintain around 17,500 public payphones. However, it is also the largest single contributor of funding to the USO, with an annual contribution of around $140 million. The USO contract Telstra currently has with the government was signed in 2011, and is costed at $3 billion in net present value terms over twenty years from its commencement in 2012. However, in draft report published on 6 December, the government’s Productivity Commission - an independent Commonwealth agency - said that the arrangement, as it currently stands, is “anachronistic” and needs to change. “While Telstra may have acted with goodwill in fulfilling its contractual obligations, these arrangements no longer serve the best interests of the Australian community," it stated in the report’s overview. "The Commission therefore recommends that the TUSO be phased out as soon as practicable." If the USO is scrapped, it could see other local telecommunications players recoup the $197 million annual levy they currently have to contribute to in order to help co- fund the scheme. Instead, the Productivity Commission suggested that the National Broadband Network (NBN), which is expected to be completed by nbn in 2020, could be used to ensure Australians have access to telecommunications services. “While not explicitly subject to a universal service ‘obligation’, nbn has a mandate to deliver high-speed broadband to all households and businesses in Australia by 2020,” it said. “Even though nbn is focused on providing data services, NBN infrastructure will have an intrinsic capacity to provide a high quality telephone service,” it said. The Productivity Commission also questioned Telstra’s use of the funding under the current arrangement, suggesting that lack of transparency has resulted in a lack of accountability in how the funding has been used. “As the designated universal service provider, Telstra’s obligation is specified in legislation,” it stated. “However, in placing this obligation on Telstra, the Australian Government did not demand transparency and accountability of Telstra. “Telstra is not required to report on the number of non-commercial services or on the costs of any telephone service it supplies. Effectively, every fixed-line customer of Telstra is treated as a TUSO customer, irrespective of whether the service is commercial or not,” The Commission said. While the Productivity Commission is urging the government to scrap the USO as soon as possible, it did concede that the transition away from the existing arrangement wouldn’t be easy. “Transitioning to a new framework for universal service is likely to be complex,” it said. "The long-term contract that the government has with Telstra and the surrounding legislative architecture presents key hurdles that will need to be carefully addressed to ensure that the benefits of timely reform outweigh the costs of unravelling existing arrangements." For its part, Telstra said it supports many of the points raised by the Commission and, as it has previously suggested, remains open to reforming the USO if the changes mean the experience it provides for customers can be improved. "We support the idea that once the rollout of the NBN is completed, there’s a real opportunity to examine what technology is used to deliver a universal service that may replace the current USO," Telstra's corporate affairs group executive, Tony Warren, said in a statement. "We also agree with the Commission’s view that the Government should consider whether the ongoing obligation to have traditional payphones available to the public is delivering the best value to Australian consumers and communities. "Changes to the USO could also mean we can reduce the costs we face in delivering a copper-based service in high-cost parts of the country and enable us to make more efficient technology choices in how we serve our customers," Warren said.